Crux Framework 5 Showcase updated! 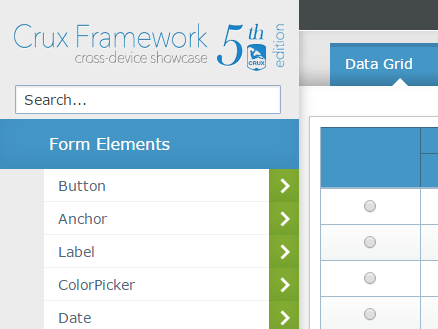 Data Elements based in the new Data Provider Model: DataGrid, WidgetList, Combobox, Carousel and Pagers. Content Disposal Elements: TopMenuDisposal and SideMenuDisposal.